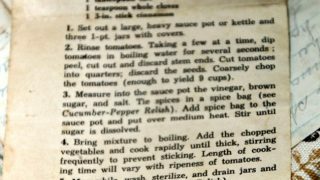 Front of the recipe card for Chili Sauce, which is actually a newspaper clipping with the Chili Sauce recipe from the Family Weekly newspaper dated September 6, 1959. 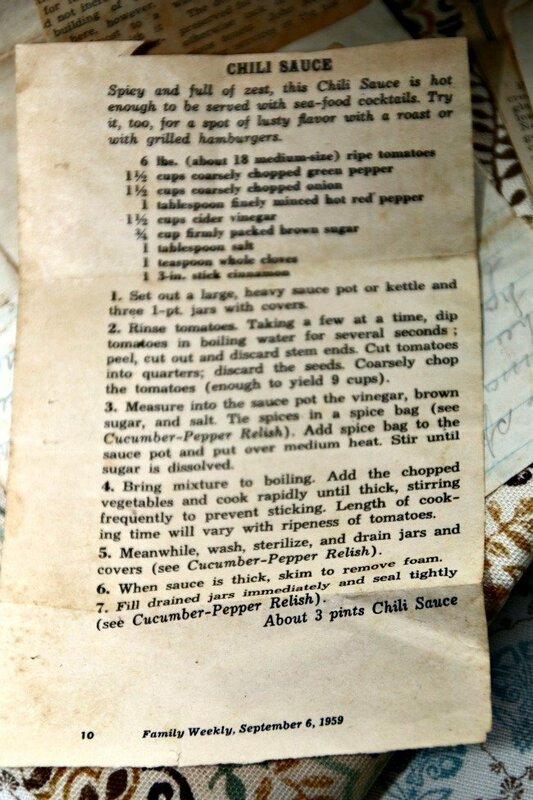 There are lots of fun recipes to read in the box this recipe for Chili Sauce was with. Use the links below to view other recipes similar to this Chili Sauce recipe. If you make this Chili Sauce recipe, please share your photos and comments below! Spicy and full of zest, this Chili Sauce is hot enough to be served with seafood cocktails. Try it, too, for a spot of lusty flavor with a roast or with grilled hamburgers.